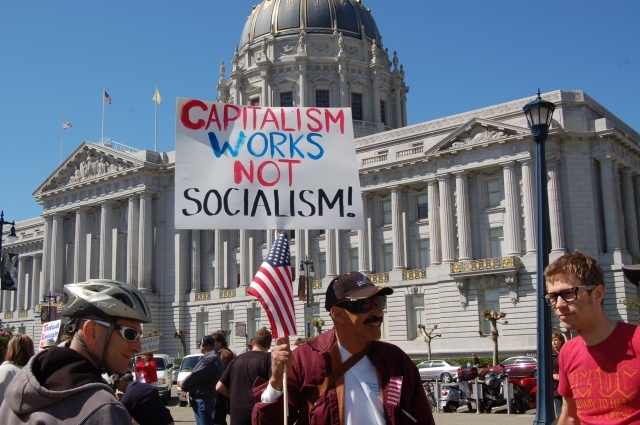 It’s not uncommon to hear that “we are losing the America we used to be,” and that we are evolving into this socialist nanny state where hard work and innovation are punished and failure is rewarded. 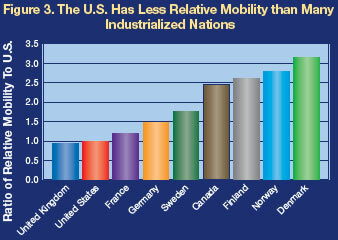 That we are doing away with the ethic that made America the place of opportunity that it is/was/is ceasing to be. What does the data show? 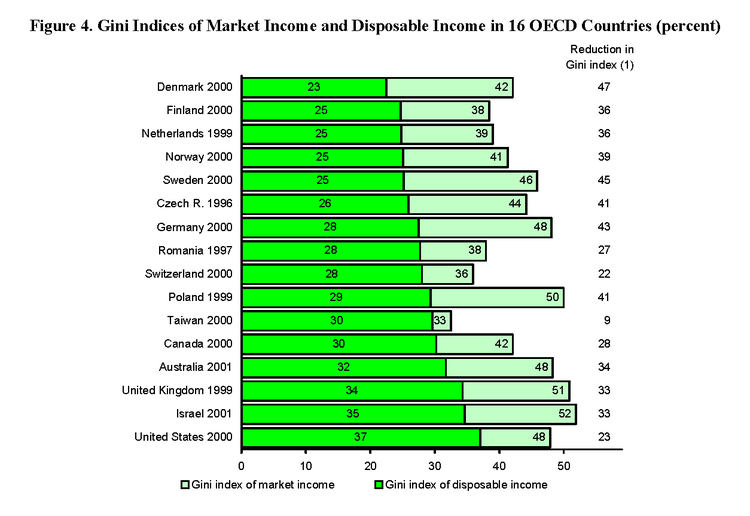 It shows that a viable middle class makes its debut after the implementation of said nanny state. 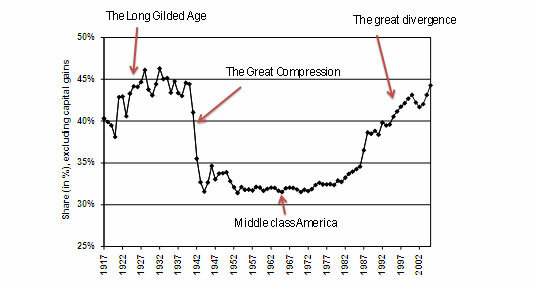 Conversly, the virtual disappearance of the middle class has coincided with a reversal of that trend. 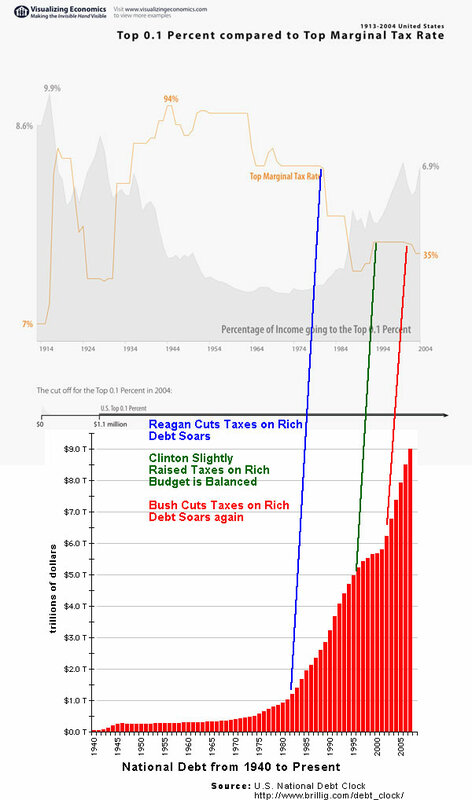 As taxes have been lowered on the rich, more government spending has been compensated for by printing/borrowing money, leaving us with the glaring debt problem we now face. Union busting (which gained traction under Reagan) has effectively neutered Unions, leaving them less able to leverage fair wages for employees. Not surprisingly, as the production of the American worker has increased, his/her wages haven’t kept pace. 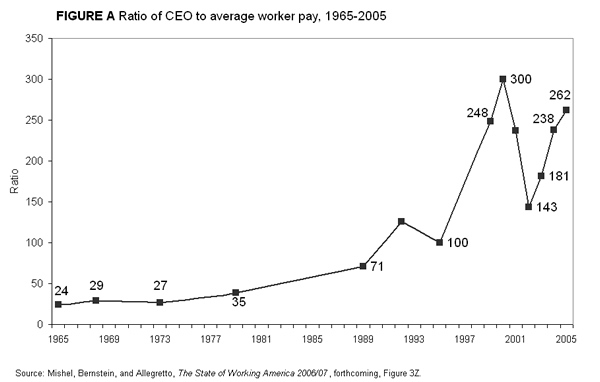 More and more of the increased wealth goes to the likes of CEOs and hedge fund managers. 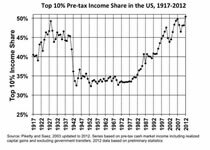 This is what the decline of the top marginal tax rates and income for the top .1% looks like historically. Note the corresponding trend in the US National Debt. For all the talk of the runaway government and a large tax burden, the United states has among the lowest tax burden and taxes as a percentage of GDP. 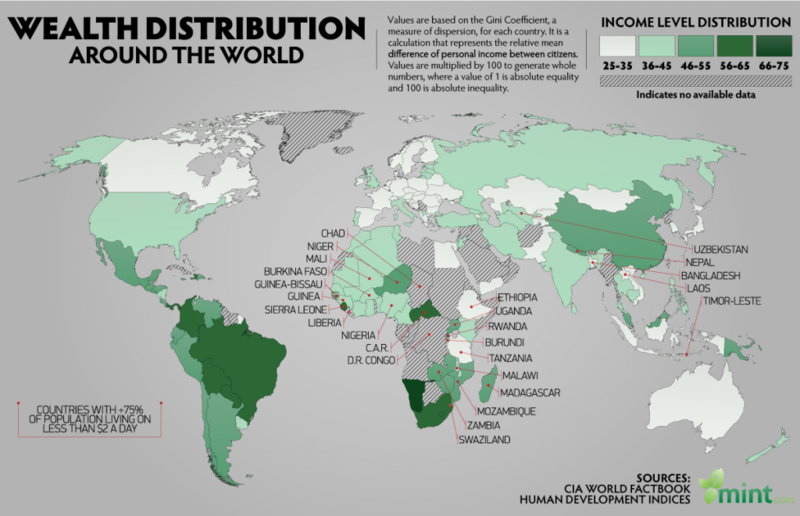 Among these countries, the US also has the highest wealth disparity and among the lowest social mobility and worst infant mortality rates, average lifespans, and literacy rates. The middle class has a higher tax burden than they did 30 years ago (to help offset the lowered tax rates on the wealthy). Unfortunately, what should be common knowledge appears to be hidden from today’s political discourse. So what we’re left with is a large segment of our population railing against the the policies that made a middle class American possible to begin with (and mistakenly calling it socialism). This has led to the creation of the recent Tea Party movement. Tea partiers are much more concerned about government spending than are other Americans. The budget deficit is their number two issue, behind only the economy (38% say the economy is their most important issue, 23% name the deficit). Forty percent of Americans overall cite the economy, 17% name health care (mentioned by only 11% of tea partiers), and only 8% say the deficit is the country’s most important issue. And yet Forbes recently sent interns to survey Tea party protesters, and they appear to have an inflated view of taxes and size of the federal government.